Co-op Academy Friarswood strives to provide our children with a rich and broad curriculum within which all pupils can learn and achieve their best. The curriculum delivers the National Curriculum in an exciting and purposeful way. Cross-curricular links are exploited to make learning interesting and meaningful. The curriculum is enhanced through visits, visitors and special events throughout the year. Our curriculum includes activities appropriate to the age and development of our pupils that will help to prepare them positively for life in Modern Britain and which actively promote the fundamental British Values along with our STAR values (Safe, Trust, Achieve & Resilience). 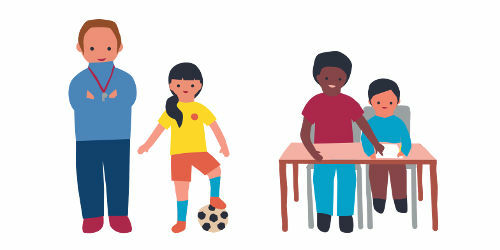 The governors and staff are committed to providing the full range of opportunities for all pupils, regardless of the nine protected characteristics. At all times and in all circumstances, teachers and other staff are responsible for the safeguarding and welfare of all pupils.